1. As a Baucher by attaching the cheek piece to the small loop at the top and the rein to the large loose ring. 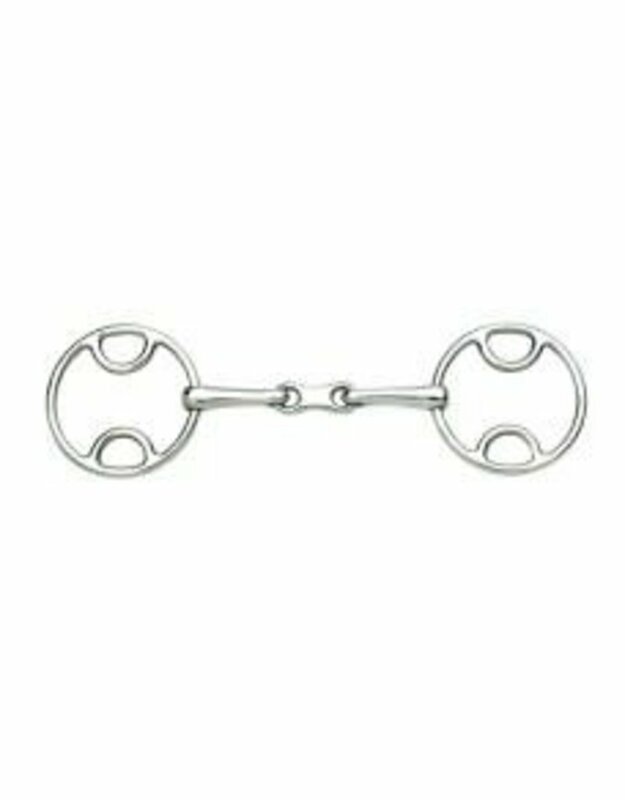 In this way, the bit works as a loose ring, allowing it to move in the horses mouth, but will also apply a bit of pressure to the poll for added control while encouraging the horse to lower his head. 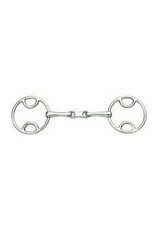 2.As a mild gag by attaching the cheek to the small top loop and the rein to the small bottom loop. When the rein is used, the bit ring will rotate back and pressure is applied to the poll and lips.